Life On Willie Mae Lane: Road Trip Fun! Hi everyone! I am happy to report I am home and finally rested up after my week long road trip to Pennsylvania! I have missed blogging and am happy to be home to get back to it! Thanks so much to those of you who visited and commented on my two guest posts. Well, I have lots to share from my road trip....gorgeous land, flowers and other sights I saw, some fun finds, & a whole bunch of thrifty finds! I really want to get it all in one post, but we'll see as I go! As many of you know, I went on a road trip with my mother-in-law, Joyce (and her dachshund, Elvis), and my daughter, Miranda to Pennsylvania to visit my brother-in-law and his family. We had never been up there and had such fun! The drive was amazing with such beautiful scenery. I was able to take lots of photos since Miranda drove us. She is one fantastic driver and drove almost every mile of our trip! 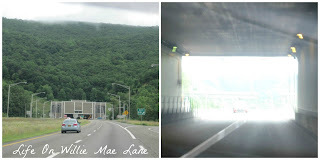 Anywho, here are a few photos from the drive up. 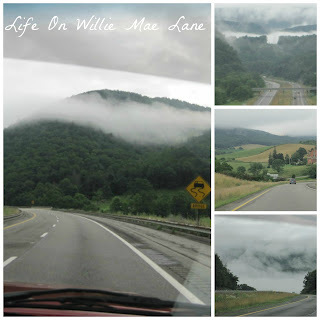 Most of these are taken in Virginia and West Virginia. These states are breathtakingly beautiful! Here's a tunnel through a mountain...going in and coming out! These photos were taken at New River Gorge Bridge in West Virginia. This was truly one of the most amazing & beautiful places I have ever seen! If you are ever in West Virginia, I highly recommend you go see it for yourself. These photos just don't do it justice. You can read more about it here if you are interested. 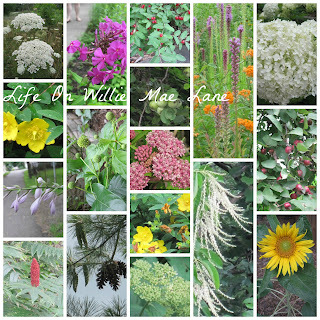 We saw such gorgeous flowers & trees all along the way and everywhere we went on our trip! 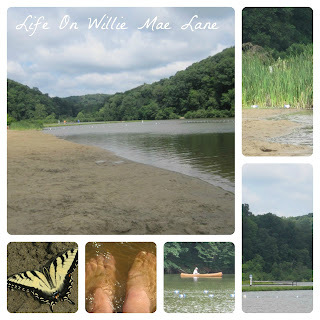 We visited Raccoon Creek State Park in Pennsylvania. It was oh so pretty! My niece and nephew had fun playing on the "beach"! 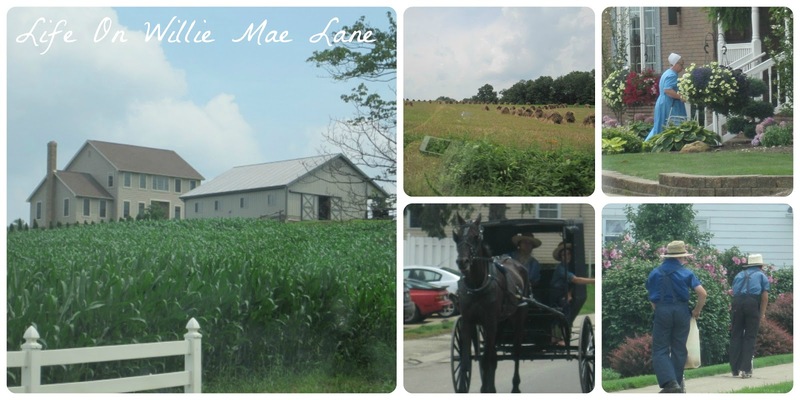 We drove into Holmes County, Ohio, home of the world's largest Amish community. 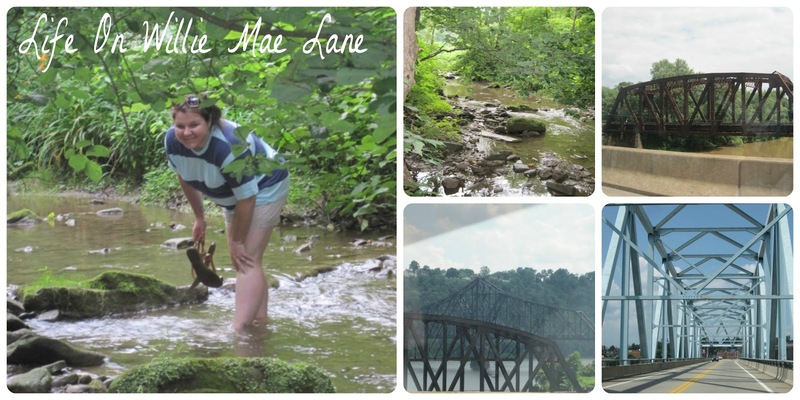 We had such fun driving through their beautiful land, shopping at the flea market and thrift stores, and spending the night in Millersburg with my niece and nephew. We saw lots of neat sights along the way there and back. I love the buildings in the photos below and the huge smoke stacks. 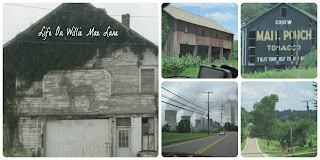 My brother-in-law and his family live in Industry, Pennsylvania and I know after visiting, where the name came from! Industry borders the Ohio River and there are lots of industrial buildings, mills, and power plants along the river! There are bridges everywhere crossing the Ohio River and this pretty little creek runs through the hills down the hill from his house. That's my Miranda peeking through the trees! In addition to the beautiful sights we saw, we found lots of awesome thrift stores to shop in. I was one happy camper! I will share most of the things I bought. I also bought a cute little glass pedestal dish that matches a trifle dish I already own, a crystal lamp base, a small cloche, 6small bowls that match some recently thrifted saucers, and four white ironstone pitchers for my collection. I bought an iron holder that attaches to the wall, as well as this iron cover. Not sure how it works, but I think I will use it for decor in my laundry room. I also bought this cute little wood trash can. I am planning to repaint and decoupage it for either my guest room or my bathroom. I couldn't pass up the frames. The large gold one will get a paint job and the two small ones are very ornate, vintage frames with bubble glass. If you know me at all, you know I love apothecary jars and I hit the jackpot in one store in Amish country. I love the two round ones. I didn't have any like them...:) I also found this vintage chalkboard that I had to have! And, I found three more metal containers to add to my ever-growing collection for my front porch (if we ever get it built!). I bought some craft supplies....silverware, small wood plaques, and these adorable little galvanized buckets. I found oodles of books....some new and some used. 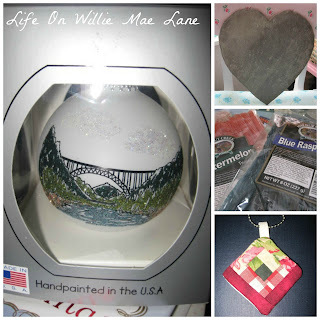 We went to a really cool discount store called Ollie's. The book prices simply could not be beat! My daughter and I were in Heaven! I bought several books there for myself as well as for my classroom. I also bought books at the thrift stores for both myself and classroom. 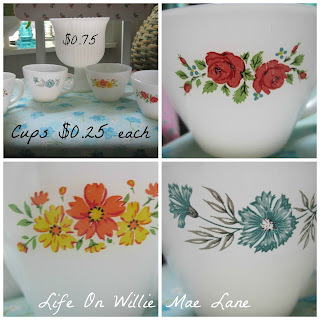 The ones in the middle are vintage and will be great for decorating. The top three were just a quarter each! 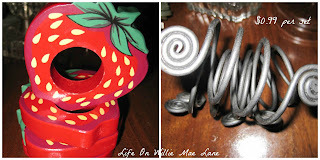 I found two sets of napkin rings for my growing tablescape obsession! This last photo featured the souvenirs I bought. A Christmas ornament of the New River Gorge Bridge, a slate heart from a sweet Amish gentleman, some Amish made licorice for my sister, and a small quilted key chain which I will use for a Christmas ornament that was hand-quilted in Amish country. If you stuck around through it all....thank you! I wanted to go ahead and get it all in one post. 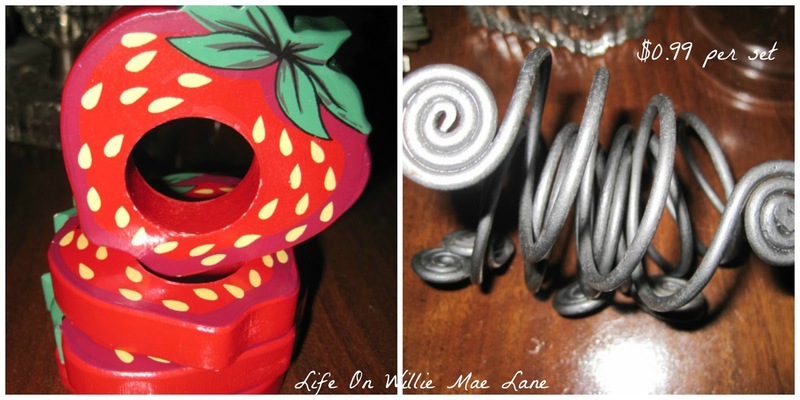 I am hoping to finish up a couple crafty projects to share this week. I have a super busy week of appointments...Dr, fridge repair, college for my son, etc., so we shall see! Hopefully I will get to a couple projects...:) Have a blessed week my friends! Thanks for sharing.. it's always fun to see the treasures you find. Thank you for the Sunday night post! 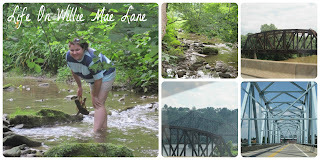 What wonderful photos of the places along the way and your thrifted treasures. It looks as if you have quite a few projects in mind. Of course, my two favorites would be the chalkboard and the books! So glad your trip was so amazing! Wow! Not only do you have beautiful photos to show us but you really hit the jackpot on treasures! 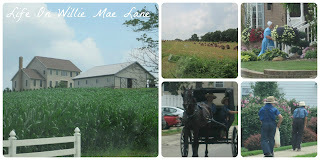 I would love to visit the Amish country again, it's been forever. I love the Fire King most of all your treasures. I clicked on the pictures and I can really see the scenery better. So glad you had such a good time! I really enjoyed your photo collages! Wonderful trip and lots of fun thrifting....what could be better! Great job on the photo collages. You found a lot of great things, but I love that gold frame the most. You're going to be busy with projects for a while now. Looks like you had a fabulous trip! I've never to been to the East Coast or Midwest. I would love to see the land our forefathers saw as they settled those valleys and plains. I've heard West Virginia is gorgeous! 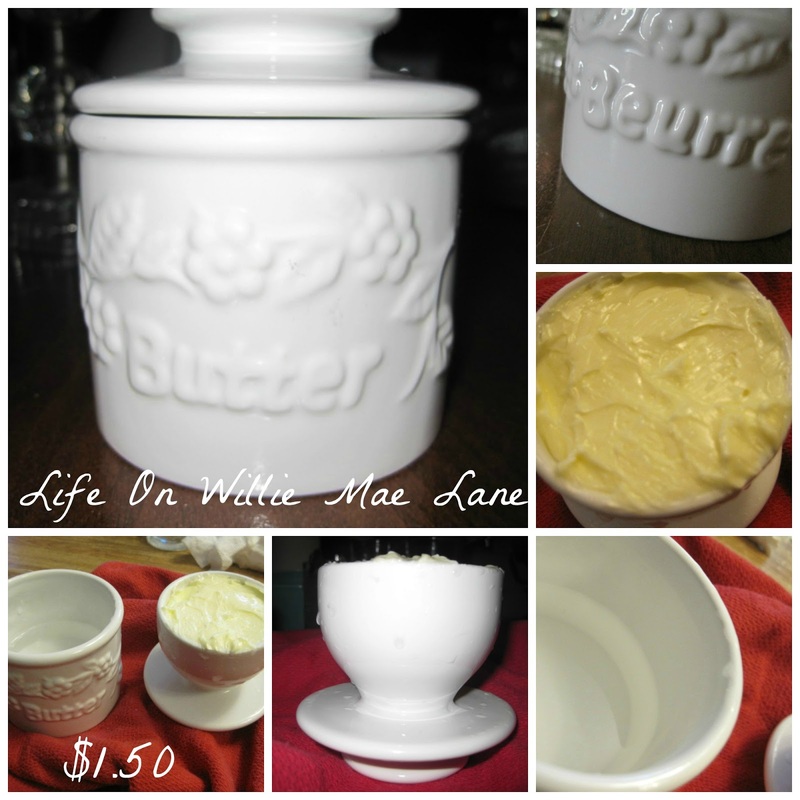 Love that butter tub, and what a find on the fire king. Sounds like a fabulous trip, Vicky. 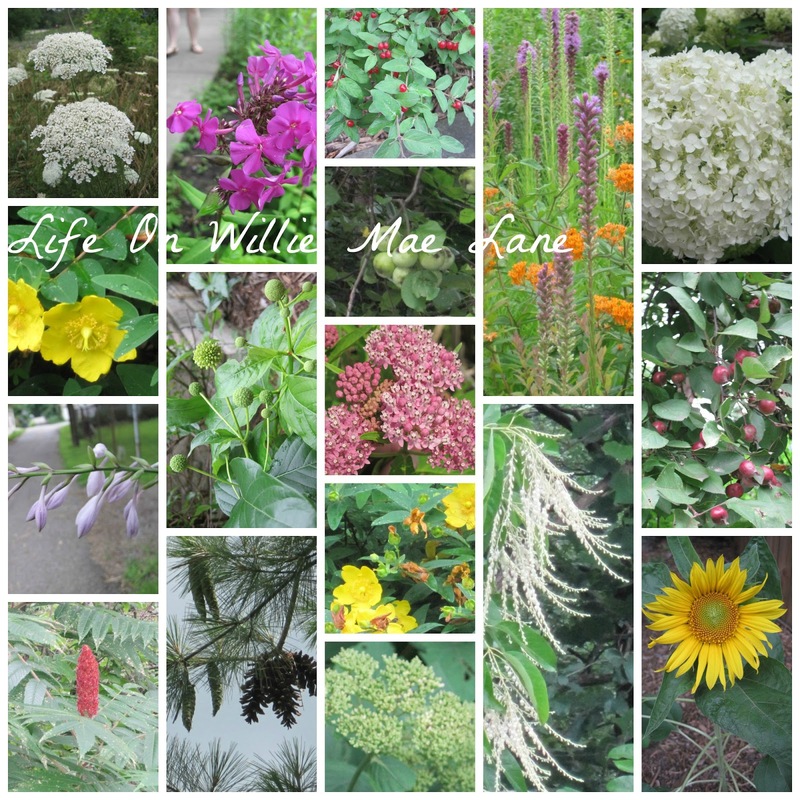 Your photo collages were lots of fun to look at and what great treasures you found :) Thanks for sharing with us and it's wonderful to have you back. I do hope you were in a large car or there must not have been any space for all of you on the way back. California is one long state so a drive through it keeps you in one state the entire time. I love how your can drive through several states in one day in your part of the country. Wow, what a great road trip. 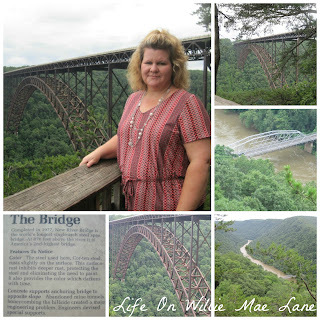 My friend is from West Virginia and always talks about the New River Gorge bridge. Glad you got to go and do all the fun things and visit family. I bet you made tons of memories!